A Nagoya University-based research team has discovered how dopamine controls the brain's response to cocaine. Findings from this study will reveal new insights into dopamine function in the brain. Caption: Illustration of the pathway by which dopamine may induce reward. Dopamine activates dopamine receptor 1 (DA1R), which initiates a biochemical chain of events leading to excitation. Nagoya, Japan - Researchers have thus far been unable to define how dopamine influences cocaine reward. 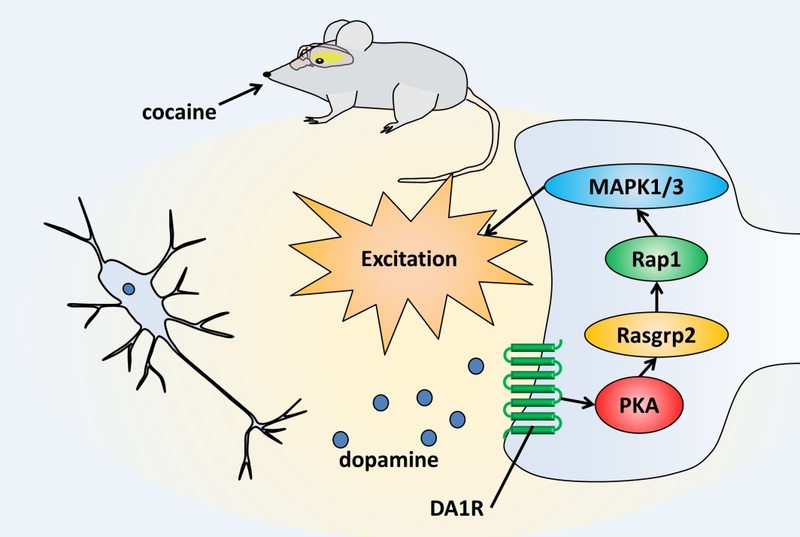 A recent report published in Neuron has shown that cocaine administration increases dopamine levels in the striatum, activating a signaling pathway that was previously unknown. "We stimulated PKA in mouse brain slices to activate these unknown substrates," explains corresponding author Kozo Kaibuchi of the University of Nagoya's Department of Cell Pharmacology. His research team was able to extract these activated proteins from brain slices and identify them. "Using this screening approach, we identified more than 100 candidate substrates of PKA," continues Kaibuchi. 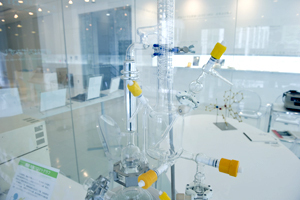 "We speculated that the Rap1 pathway is involved in the regulation of neuronal functions by dopamine," says lead author Taku Nagai at the university's Department of Neuropsychcopharmacology. By measuring neuronal activity directly in mouse brain slices, Nagai and colleagues discovered that activated Rap1 can increase the activity of dopaminergic neurons in the striatum. In addition, the rewarding effects of cocaine were higher when Rap1 was activated in mouse brains. 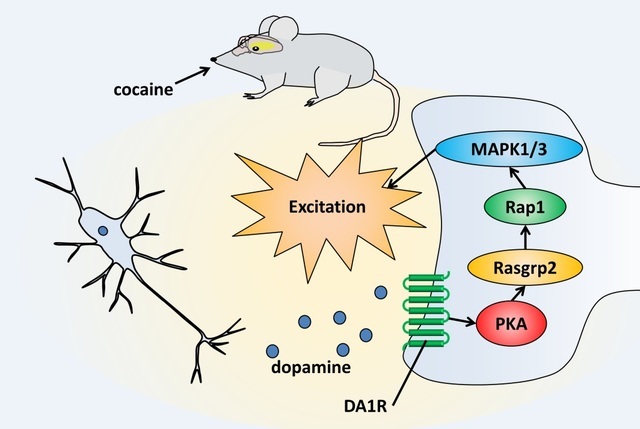 "When dopamine levels increase due to cocaine administration, striatal neurons become more excitable, resulting in enhanced responses to excitatory input from other brain regions," explains Nagai. "This increases the sensitivity of mice to cocaine reward." 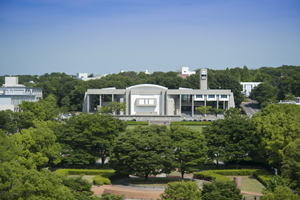 Authors: Associate Prof. Taku Nagai, Assistant Prof. Shinichi Nakamuta, Assistant Prof. Keisuke Kuroda, Assistant Prof. Sakura Nakauchi, Assistant Prof. Tomoki Nishioka, Dr. Tetsuya Takano, Mr. Xinjian Zhang(a graduate student), Assistant Prof. Daisuke Tsuboi, Dr. Yasuhiro Funahashi, Prof. Kiyofumi Yamada, Associate Prof. Mutsuki Amano and Prof. Kozo Kaibuchi, Graduate School of Medicine, Nagoya University, with their research groups at the Okinawa Institute of Science and Technology Graduate University, National Institute for Physiological Sciences, Hokkaido University Graduate School of Medicine, Tokyo Metropolitan Institute of Gerontology, Kurume University and Fukushima Medical University. 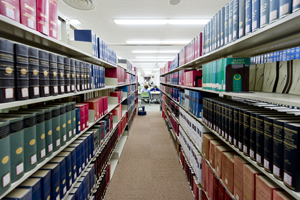 Funding: This work was supported by the following funding sources: "Bioinformatics for Brain Sciences" and "Integrated Research on Neuropsychiatric Disorders" performed under the SRPBS from MEXT and AMED, Grant-in-Aid for Scientific Research (A) (25251021) from MEXT, Grant-in-Aid for Scientific Research on Innovative Areas (Comprehensive Brain Science Network) from MEXT, and Health and Labour Sciences Research Grant (H25-Iyaku-Ippan-020) from MHLW.